Friday, Apr. 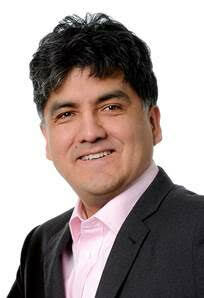 22, 2016 @ 7:15-8:15 p.m.
Help celebrate the inaugural issue of RED INK International Journal of Indigenous Literature, Art, and Humanities with National Book Award-winner Sherman Alexie, a Spokane-Coeur de Alene poet, filmmaker, and novelist. Alexie will give a talk and then read from and sign copies of his books, which will be available for sale at the event by Phoenix Book Company. Alexie has published 24 books including What I’ve Stolen, What I’ve Earned, Blasphemy: New and Selected Stories, The Absolutely True Diary of a Part-Time Indian, and a 20th Anniversary edition of his classic book of stories, The Lone Ranger and Tonto Fistfight in Heaven. Smoke Signals, the movie he wrote and co-produced, won the Audience Award and Filmmakers Trophy at the 1998 Sundance Film Festival. Alexie’s visit is hosted by the ASU RED INK Indigenous Initiative for All: Collaboration and Creativity at Work, with support from ASU’s American Indian Studies, Department of English, College of Liberal Arts and Sciences, and Center for Indian Education.